We have already known about slab foundations. 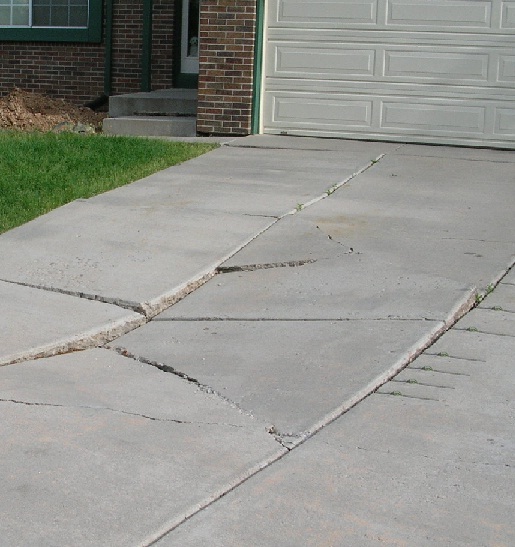 Slab foundations often suffer upheaval and settlement. A settled slab foundation is recovered by mud jacking. This settlement phenomenon is common in foundations on expansive soil like black cotton soils. The aim of the mudjacking is to fill the voids that are appeared due to settlement and subsequent raising the slab to its desired grade and stabilize the slab foundation. In this post we will have an idea about warranty for mudjacking for such rehabilitation of slab foundations. In the upcoming posts we will discuss technical terms and will find answer of queries about this method. As discussed earlier, the contractor will try to fill entire voids-a 100% filling of voids provides 100% bearing to support desired foundation. There have some difficulties-like for ceramic tiles and some special types of floor tiles, it is not sometimes desired to drill, utility lines crisscrossed beneath the slab may result interference with mudjacking resulting difficulties to reach 100% filling of voids with grout. The contractors frequently do not provide any warranty for mudjacking in these situations. Some installation like patio, drives, walkway, parking slab, street or decking do not have perimeter beam. This installation is known as flatwork. The mudjacking for these flat works is not warranted or if provided, this is very limited. It is observed that resettlement is not much common, if a foundation is mudjacked properly. This is in the order of not more than (1-2)%. 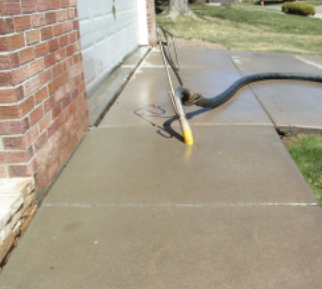 As flatwork has difficulties the settlement may be 10 times of foundations that are properly mudjacked. Normally up to 12 months warranty is provided by contractor depending on site conditions.